It was windy. It was a perfect day for flying kites. And so, hubbydoo and kiddos took the lead from the wind. 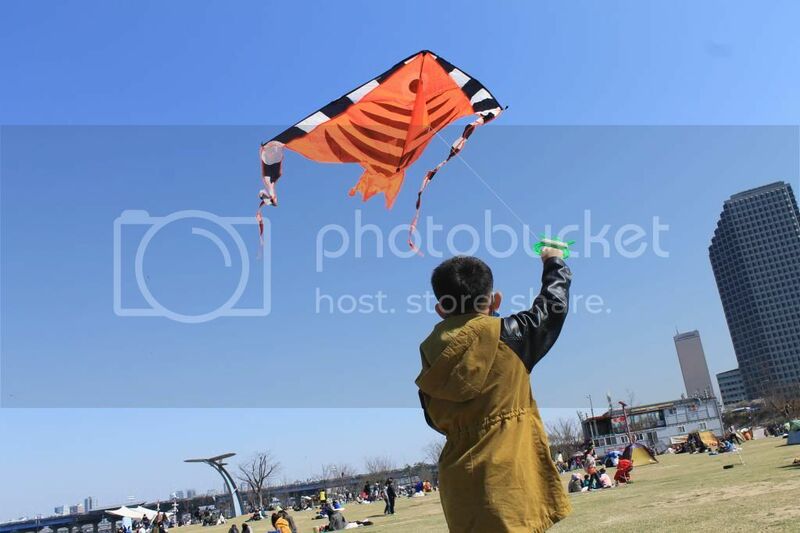 The kite from Iloilo from 2 years ago gladly soared the sky over Yoido. My kids love it. They love it even more because they were playing with their Daddy. 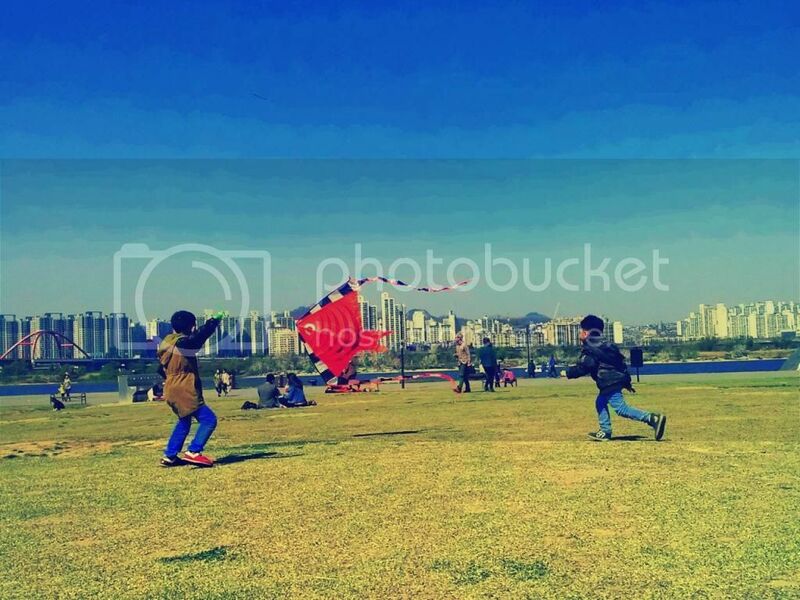 They alternated in flying the kite. My First son seemed to have grown a lot since the first time he flew this very same kite more than a year ago.